In 1920, University of Southern California sociologist Dr. Emory S. Bogardus founded Alpha Kappa Delta for the purposes of stimulating scholarship and promoting the scientific study of society. The AKD honor society publishes the peer-reviewed journal Sociological Inquiry: The Quarterly Journal of the International Sociology Honor Society. The Alpha Chapter at Marshall University was established in 1950 and was the first one in the state. Conferring a charter signifies that the institution meets high standards of program quality and scholarship. While the focus is on scholarship, we also emphasize fellowship for faculty and students, both at the graduate and undergraduate levels. 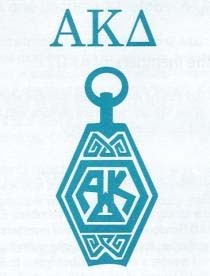 To become a member of AKD, a student has to be at least a junior and have accumulated the equivalent of an overall grade point average of 3.0 or a ‘B’ average in sociology, with at least 12 hours of sociology course-work. Graduate students need to complete at least one-half year of course work in sociology while maintaining at least a ‘B’ average.